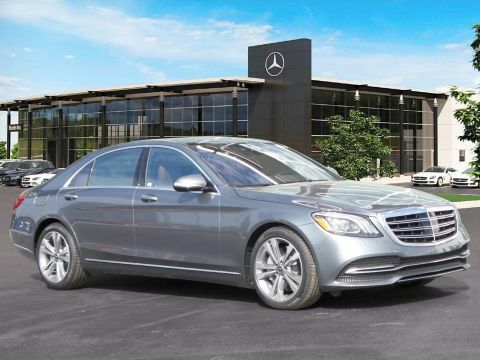 Certified Pre-Owned 2018 Mercedes-Benz S560. Diamond Silver Metallic over Silk Beige/Espresso Brown Nappa Leather. 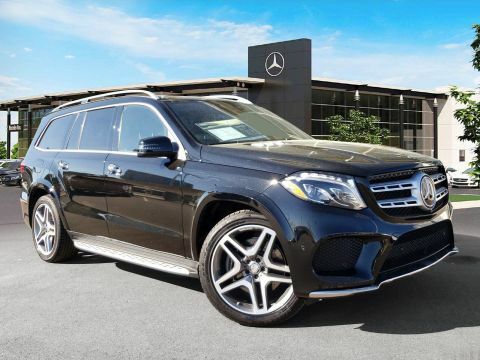 Equipped with Premium 1 Package (Surround View Camera, Heated and Cooled Seats, KEYLESS-GO, Active Multicontour Seats, COMAND Navigation, Power Rear Side Window Blinds), AMG LINE (AMG Wheels and Sport Bodystyling), Rear Seat Package (4-Zone Climate Control, Chauffeur Package, EASY ADJUST), Rear Seatbelt AIRBAGS, Warmth and Comfort Control (Heated Steering Wheel, Heated Armrests), REAR SEAT ENTERTAINMENT PACKAGE, Driver Assistance Package (DISTRONIC, Active Blind Spot, Lane Keep Assist), Wood/Leather Steering Wheel, Comfort Box, Panorama Sunroof, 19" AMG® Twin 5-Spoke, BURMESTER Surround Sound. 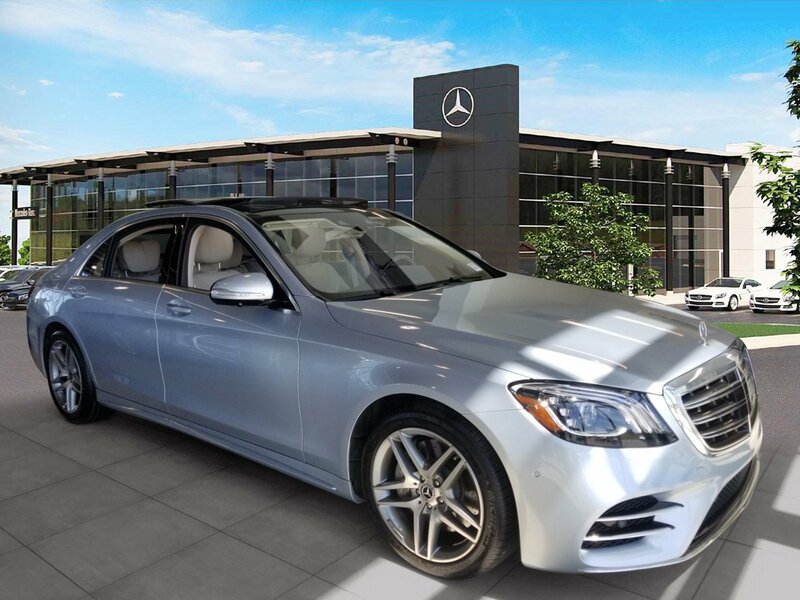 This Certified Pre-Owned Mercedes-Benz is covered until UNLIMITED miles or 06/16/2023.